Saint Louis Therapist: Tyler Sparks - Therapist 63122. Send A Message To Tyler. Session Fees: I work with many insurance plans and also operate on a sliding fee scale for those without insurance. 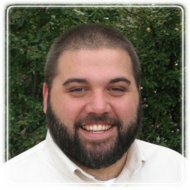 Tyler Sparks is a Licensed Professional Counselor in the state of Missouri and a National Certified Counselor. He obtained his Master of Arts in Counseling Psychology from Trinity Evangelical Divinity School in Chicago, IL. Tyler is a member of the Christian Association for Psychological Studies and is passionate about integrating psychology and theology. He is professional and warm at the same time, offering both compassion and guidance in the midst of pain. While many have brought a variety of concerns to him in the past, he is most zealous about helping men as they struggle with sexual addiction and anger issues as well as couples working through sexual difficulties. Tyler lives in the St. Louis metro area with his wife and four children. Some of his out of work interests include playing soccer and baseball with his kids, watching movies, cooking, and spending quality time with friends.